First we had homepages. Next we got streams. Then we saw a return to newsletters. So what is the thing for 2015? This will be the year of the mixtape. Not quite the cassette tape you made your high school crush, but similar in sentiment. If the rise of podcasts and newsletters has taught us anything this year, it’s that there’s value in consuming bundled content. But there’s not a great experience for reading packaged text on the web yet. Readers are finding their way to news sites not through any cohesive experience — they’re stumbling across links shared on Twitter or Facebook or sent to them by friends. Instead of trying to capitalize so heavily on an individual story, this year we’ll move to bundling articles and ideas. We’ve already seen Vox introduce their cardstack primitive, experimenting with a new way of presenting contextual packages of information to explain the news. In 2015, we’ll approach stories less as atomic units themselves, but rather as subunits that can be packaged within a new type of content primitive: mixtapes. A mixtape can be highly personal. A mixtape reflects the taste and opinions of its compiler — tastes are so idiosyncractic. Every mix is a carefully crafted window into a person. A mixtape can range from songs linked by theme or mood, to a list of casual favorites — the form affords a variety of different situations and use cases. Mixtapes will help us achieve five things for news this year: serendipity, intimacy, discoverability, engagement, and curation. What I love about reading an actual newspaper is the delight of coming across stories I normally wouldn’t go out of my way to read. But since it’s right there, hanging out in the middle of the page just waiting to be seen, I’ll read it. With the perpetuation of the following model across the web and the increasing reliance on algorithmic surfacing of content, I fear we’ll lose the serendipity of news. We’ve heard a lot about podcasts this year. Maybe you’ve also heard a lot of podcasts. There are valuable lessons from that medium we should try adapting for text. Podcasts lend a certain intimacy to news. It’s easier to connect personally with the voice that’s literally inside your head. We have control over what we listen to and when we choose to listen to it. The same goes for reading — we select what to read and when it makes sense to read it. Though more often than not, we’re not reading serialized content. Mixtapes are a highly crafted personal statement. They are intimate, compiled from careful selection and ordering, often accompanied with liner notes and artwork. Mixtapes are a useful construct because they provide a layer of commentary on top of a package, which humanizes the content. It’s not just a cold link, but rather something with personal notes. Mixtapes also provide a means of discovery and sharing (as touched on in the discussion around serendipity). They’re a great promotional opportunity for bands who aren’t going to be on the radio. What about for the non-Ezra Kleins or non-Alexis Madrigals? The power of mixes was that anyone with a cassette player (initially) could create them. What if our readers weren’t just tweeting links to individual stories, but creating full mixtapes of articles, annotating them with what they found interesting or what they disagreed with, and sending these crafted packages out to their friends? The opportunity for anyone to pull in a story opens opportunities for discoverability and sharing. By selecting, juxtaposing, and ordering unrelated stories, mixtapes take a usually passive act — reading articles — and makes it active. If readers turn into active participants by curating and collecting our stories, engagement then becomes about more than social shares or comments. They’ll be engaging with content on a different level, creating something new from existing content, as opposed to simple promotion. The whole is other than the sum of its parts — by carefully selecting and ordering posts in a mix, readers can create an artistic statement greater than the sum of individual stories. There’s something to be said for selecting and sequencing a group of stories to explore a theme, create a particular mood, or evoke an emotion. The web is a vast collection of linked documents, and the way we approach content on the web needs to stay flexible. In our world of endless, overwhelming streams of information, curation plays an increasingly important role because it gives readers a finite constraint on what they’re consuming. In hip-hop, mixtapes were a way for DJs to stay at the forefront of taste-making. We’ve seen sparks of this in newsletters, which often have a “What I’m reading from around the web” section. See What We’re Reading from The New York Times. Some people are avid readers and well regarded on a certain subject. Instead of having to write something from scratch, they can start creating a mixtape of recommendations. 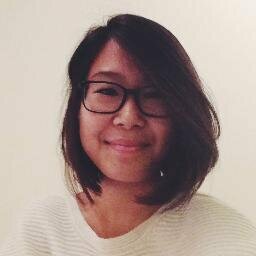 Katie Zhu is an engineer at Medium.